Where was depression until the 2000s? Hidden, unacknowledged, mostly not talked about, perhaps in the hope that it’ll all go away by itself. 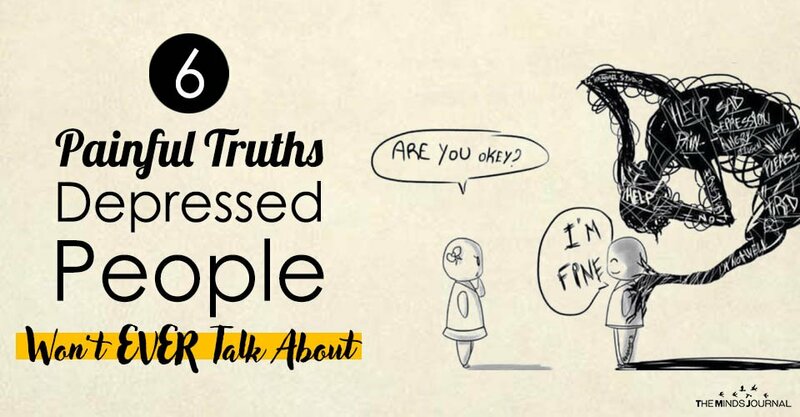 There are some truths depressed people won’t reveal so easily. The only catch is that if you’re someone who has had depression in the past, you know well that it frequently leads to self-destruction. As someone who has been mildly depressed for large parts of her own life, it has been a journey to hear friends talk about their experiences around the condition and to process other ways to live my own life. Depression is often insidious in nature, a slow killer. Even though all stories do not have the same fatal end but all of them are equally disturbing. This is 2019, and more than ever, mental health awareness has picked up in scope. Even then, to hear about depression from a depressed person is infrequent. Even if they have the support from friends and family, even if they are aware of their own state, the stigma around mental health is still persistent. Depression doesn’t always show on the surface. But the struggle within is excruciating. It’s a well-known fact that people take life for granted, take certain circumstances for granted. They may well have the feeling that they have complete power over what is happening to them. This attitude is then projected on to a depressed person, telling them “You perhaps brought this about.” But hey, stop right there. There is a great deal of discomfort attached to waking up in the morning, feeling all drained, demotivated and wondering if life really had any purpose or that the lingering emptiness won’t ever go. In contrast all they feel is helpless – about themselves and about their condition. They believe nobody, not even their own self can pull them out of the engulfing darkness. Depression of any kind is a constant reminder that life has come to a standstill just for one reason, while the rest of the world continues to function normally.